This Summit brought some very important moments. First, it engendered a real spirit of cooperation amongst the differing Enneagram schools and brought us all together and, secondly, it was an incredible opportunity to share the Enneagram with a worldwide, and quite extensive, audience.Also of importance was the tribute to Author Don Riso as well as the immense contribution made to each session by Summit moderator, Jessica Dibbs, of The Inspiration Conscientious School. Jessica was instrumental in reframing concepts and asking clarifying questions many who may not have ever heard of the Enneagram might have wanted to ask. 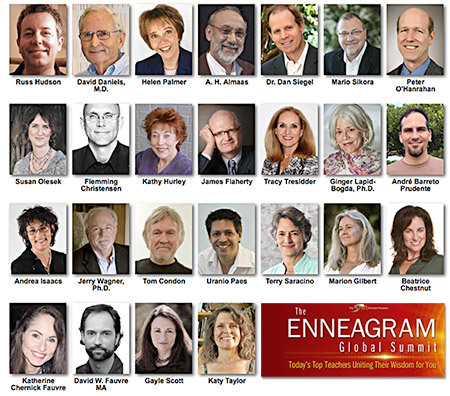 This Global Summit represents a big step for the Enneagram community. I’ve known of its powerful wisdom and multitude of both professional and personal applications for years, but there are so many spiritual and psychological practitioners out there who have not encountered it yet, those who would find it immensely useful given the chance to study it. I hope the Global Summit reached the many who would have otherwise continued to pass over it unknowingly. This Summit has also been an instrumental exercise in bringing the divergent points of view together in our community and could result in increasing our ability to “walk the talk” of compassionate understanding, collaboration, and mindfulness. So what are your thoughts and feelings about the Summit? What would you emphasize? 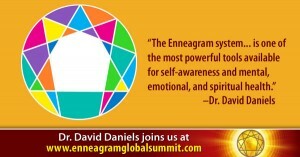 How do you see its impact on the future of the Enneagram?